Cashback Reward : Earn up to 36$! 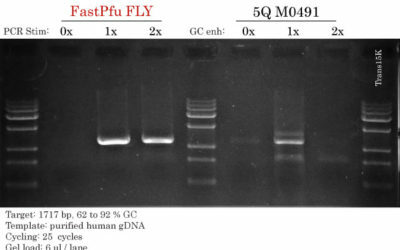 EasyTaq PCR SuperMix for PAGE is a ready-to-use mixture of EasyTaq DNA Polymerase for PAGE, dNTPs and optimized buffer. The supermix for PAGE is provided at 2x concentration and used at 1x concentration by adding template, primers and H2O. Template-independent “A” can be generated at the 3’ end of the PCR product. 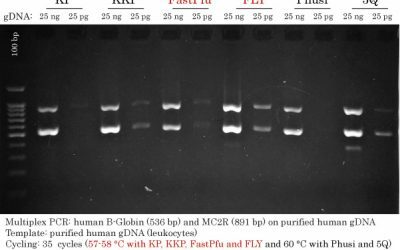 PCR products can be cloned into pEASY®-T vectors.